Paris Saint-Germain superstar Kylian Mbappe has lauded Unai Emery’s influential guidance that inspired the teenage live wire to seamlessly acclimatise to life at the serial Ligue 1 champions. 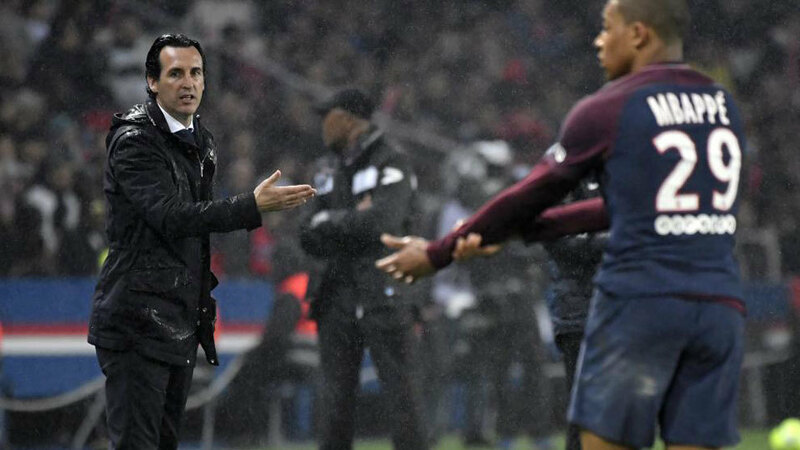 Emery initially snagged Mbappe on loan from rivals AS Monaco in the summer of 2017, when the Spaniard was in charge of the Parisians’ technical area, of course. Mbappe’s temporary departure from the Stade Louis II was soon made permanent, however, with Monaco supposedly demanding an eye-watering figure of £166m in order to part ways with the exhilarating prospect. During the 2017-18 season, PSG proceeded to claim three domestic titles under Emery’s command, although the former Sevilla FC tactician was shown the door at the Parc des Princes at the end of the previous campaign’s schedule, a dismissal that inadvertently led to his appointment at Arsenal in May. Flourishing at club level, Mbappe was also an integral figure in France’s victorious 2018 World Cup squad, and whilst speaking to France Football (via Express), the 19-year-old offensive prodigy expressed his ‘respect’ for the Gunners’ innovative chieftain. “I have a lot of respect for this man even if he did it not succeed in Paris. An admirer of Emery’s managerial prowess, Mbappe’s seemingly keen to keep tabs on his former boss’ progress at the Emirates. “I sent him a congratulatory message when he signed for Arsenal, and now, I am following from afar.”He added. Share the post "Paris Saint-Germain superstar lauds Unai Emery’s influential guidance"